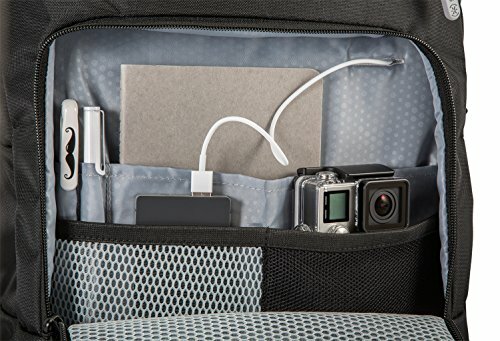 MightyPack Plus allows you to protect, organize, and mobilize your devices and tech accessories for the ideal on-the-go experience. 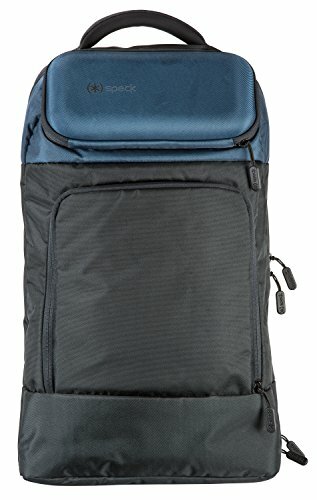 The Tech Locker is made of a tough, molded EVA foam lined with a plush vegan fur that prevents scratches and scuffs. Smart compartments flex to fit small or large accessories and also feature a pass-through slot for easy laptop or tablet charging. A padded laptop sleeve, triple-layer foam base, and a reinforced, sturdy handle provide extra protection for your valuable tech devices. 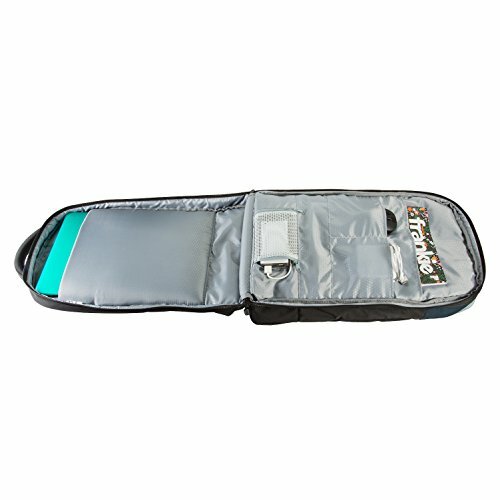 MightyPack Plus is TSA-compatible and opens flat for easy checkpoint screening. 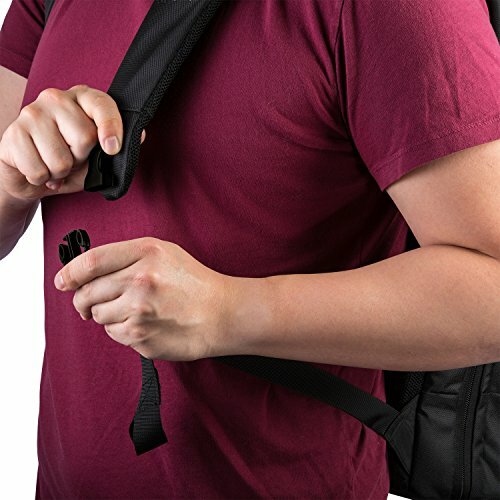 No need to remove your laptop from bag. 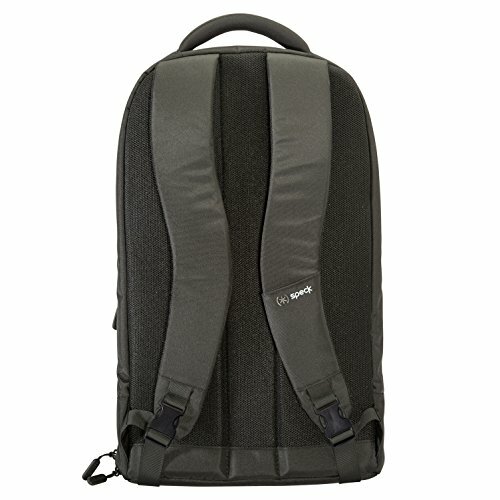 Durable hardshell top pocket protects all of your tech accessories, perfect for studio-sized headphones. 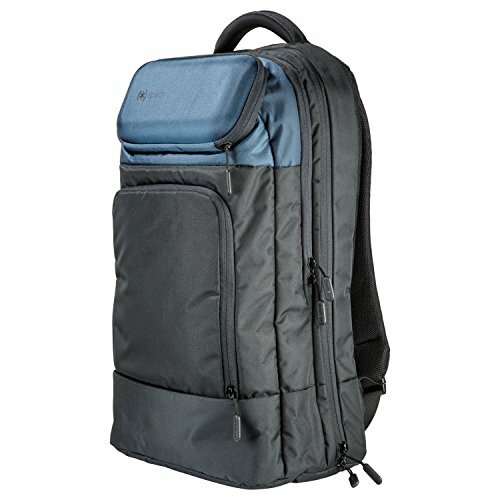 Padded laptop sleeve holds up to 15 inch laptops, tablets, and other tech devices, plus separate mouse and power supply pockets. 3-inch, triple-layered foam base creates a "crush zone" to cushion laptop from impact. 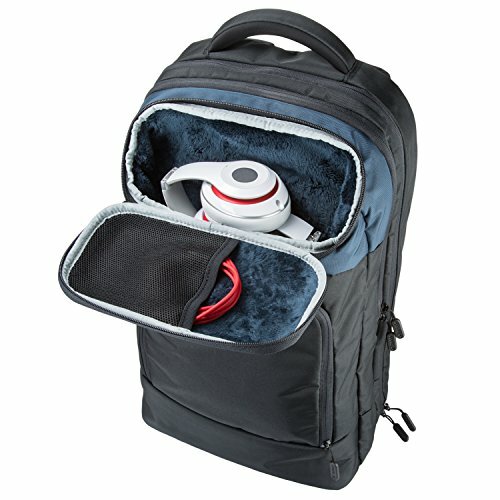 Smart compartments flex to fit small or large accessories with breathable pockets for mobile batteries, external hard drives, and more. If you have any questions about this product by Speck, contact us by completing and submitting the form below. If you are looking for a specif part number, please include it with your message.